Brin-Jonathan Butler works as a journalist and author in New York City. As an author and journalist, Brin has had his work published in ESPN magazine, Esquire, Harper’s, The Paris Review, Salon, and Vice. His memoir, The Domino Diaries, was short listed for the ESPN/Pen Award for literary sports writing and was a Boston Globe Best of 2015. His work has been chosen as a notable selection in Best American Sports three times, and once in Best American Travel. 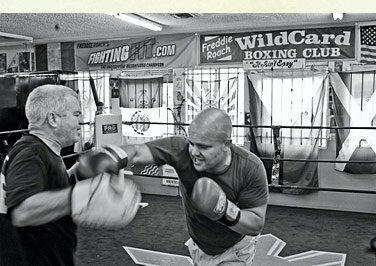 AT RIGHT: BRIN-JONATHAN BUTLER TRAINS WITH FREDDIE ROACH & CO AT WILDCARD BOXING GYM IN LOS ANGELES. Brin-Jonathan Butler works as a journalist and author in New York City. He has been training clients of all ages and ability for over ten years and has over 20 years of involvement with boxing, studying for 11 years under Cuban two-time Olympic champion Hector Vinent in Havana, Cuba. As an author and journalist, Brin has had his work published in ESPN magazine, Esquire, Harper’s, The Paris Review, Salon, and Vice. His memoir, The Domino Diaries, was short listed for the ESPN/Pen Award for literary sports writing and was a Boston Globe Best of 2015. His work has been chosen as a notable selection in Best American Sports three times, and once in Best American Travel. Learn fundamentals such as stance, basic punches, defense and balance, core training, skipping. All equipment except hand wraps provided. We can train anywhere in New York City—outdoors at a park near you, or in your home. We bring the boxing gym to you! Get started today! Contact Brin-Jonathan Butler at 917-310-1979 or brinjonathanbutler@gmail.com. 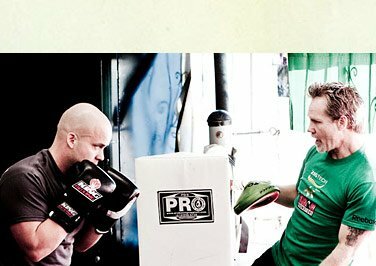 Brea Boxing is a New York City based personal boxing training service owned and run by Brin-Jonathan Butler. Brin offers private boxing lessons and brings the boxing gym to you! Boxing is a great way to get in shape as well as gain agility, strength, and learn self-defense. Check out some of Brea Boxing's great boxing students and see what they have to say about boxing lessons in New York City with Brin. To sign up for personal boxing training with Brea Boxing, or for more information, please call Brin-Jonathan Butler at 917 310 1979 or email him at brinjonathanbutler@gmail.com. Look forward to hearing from you!